The film setting was inspired by a German documentary entitled Breakin' and Enterin' set in the Los Angeles multi-racial hip-hop club Radiotron, based out of Macarthur Park in Los Angeles. 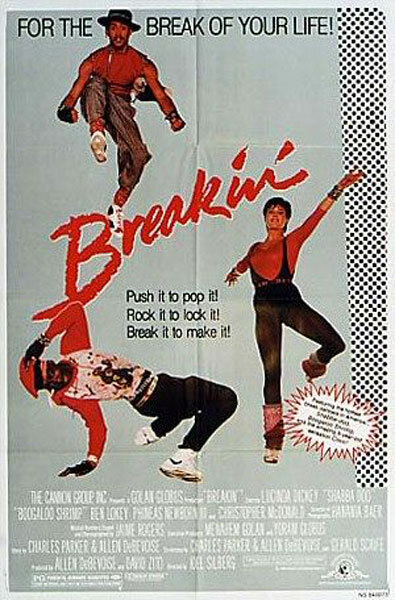 Many of the artists and dancers including Ice-T (who makes his movie debut as a club MC) and Boogaloo Shrimp went straight from Breakin' and Enterin' to star in Breakin'. Ice-T has stated that he considers the film and his own performance in it to be "whack".